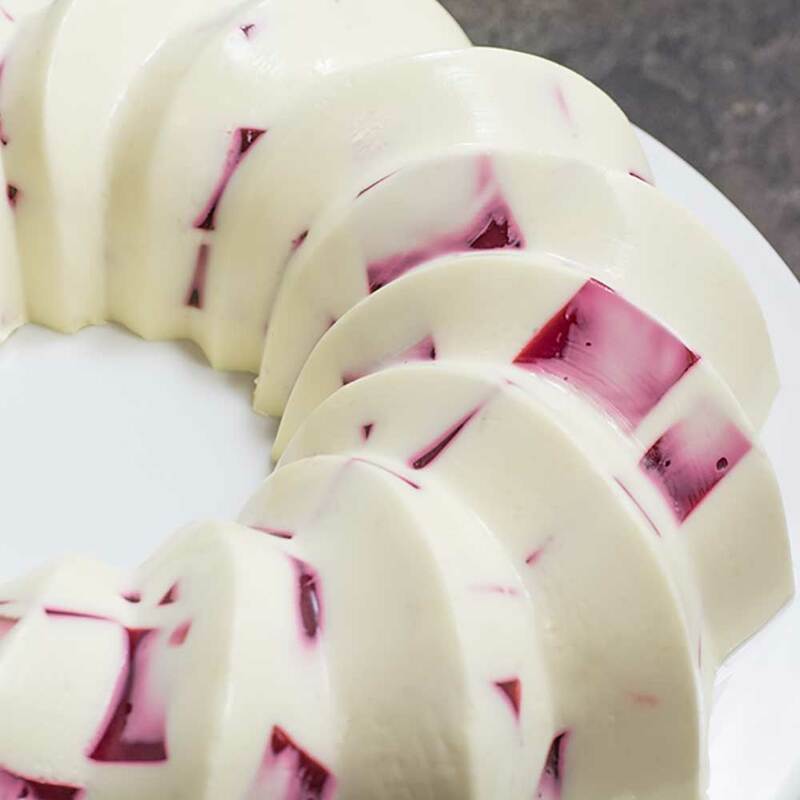 Welcome to our Low Carb Berry & Vanilla Jello Ring Dessert Recipe. It has such low calories that almost anyone can make a little room for it in their macros! Jello is a favorite sweet of mine and even as an adult, there’s nothing like a bowl of Sugar-Free Jello to soothe a sore throat or make a bad day a little better. Even my sister shares the same love – if jello is on the menu, nothing else is even an option. If you like this Jello recipe check out our CRAZY Jello Cheesecake and our DELICIOUS Jelly Slice. This low carb vanilla jello recipe makes 12 serves and is best made on the day or the day before. If made several days in advance the coloring of the berry jello can bleed into the creamy vanilla jello. Open the sachet of jello and pour the contents into a heatproof jug. Add the cup of boiling water and stir well. Ensuring that the jello is completely dissolved. Add the cold water. Pour into a square container lined with cling film and place in the fridge to set for 1 hour. Once the jello has set, cut it into large cubes and set aside. In a heatproof jug, add the gelatine, erythritol and vanilla extract. Add the cup of boiling water and stir well to dissolve the gelatin and erythritol. Add the cream and stir well. Set aside until cooled to lukewarm. 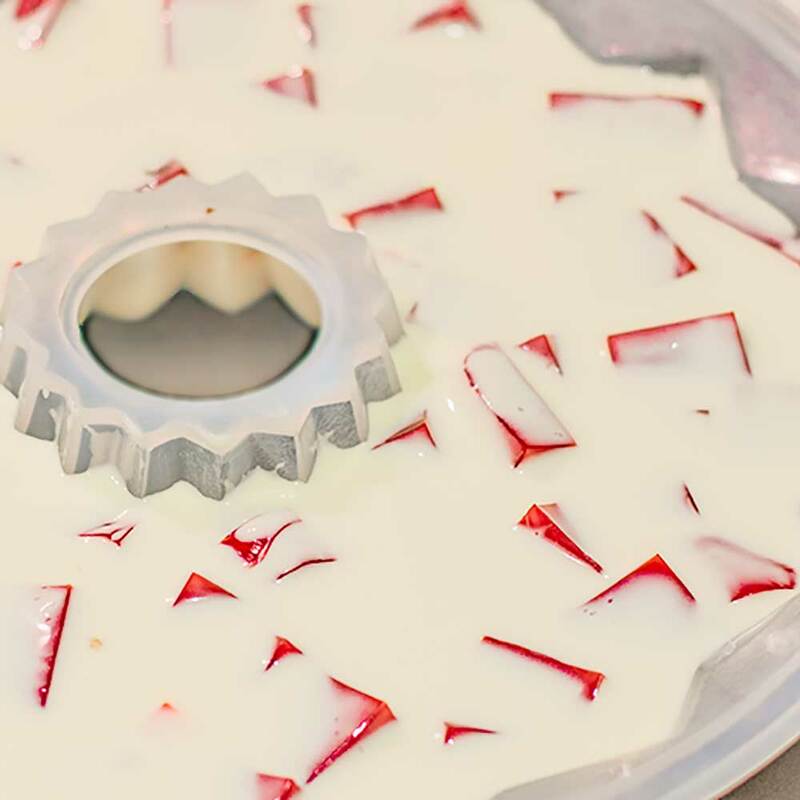 Pour half the vanilla jello into a silicon ring mold, scatter the cubed berry jello over and pour the rest of the vanilla jello on top. Place the jello in the fridge to set for 2 hours. Gentle release the set jello from the mold, serve and enjoy. 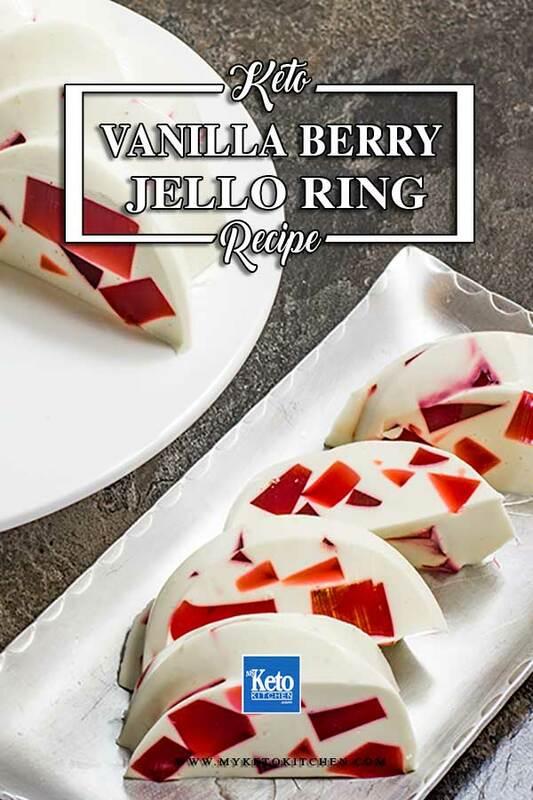 A very classy way to indulge on your favorite Sugar Free Jello flavors, our Low Carb Berry & Vanilla Jello Ring, with a little added cream to sate your hunger. It has such low calories that almost anyone can make a little room in their macros! Open the sachets of jello and pour the contents into a heatproof jug. Add the cream and stir well. Set aside until cooled to luke-warm. To make a larger batch of this Low Carb Berry & Vanilla Jello Ring dessert adjust the serving amounts in our recipe card above. Hi!, I’m confused, in the ing. list, 2 cups of water are listed for the berry jello… 1 hot, 1 cold, but in the directions it just mentions adding the cup of boiling water to the jello but not the cold water. Does the cup of cold water get added before refrigerating? This looks so pretty and I bet it tastes great, I just want to make sure I get it right. I can see this orange jello ring at the thanksgiving table and berry and/or lime at Christmas …thank you!! The recipes makes 12 servings. What is erythrithol? I love the look of this desert but in Australia I’ve never heard of this ingredient! 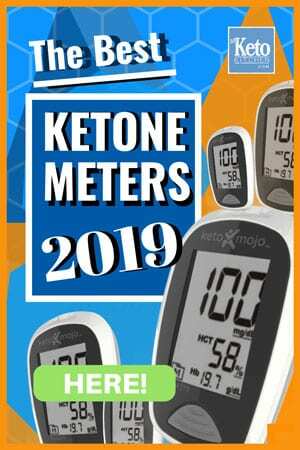 We are also in Australia 🙂 Erythritol is a sweetener, you can read more about it in our list of the Best Sweeteners. What brand of sugarfree jello powder do you use. In Canada I have only seen the ones sweeten with aspartame. Your recipes are awesome! My only problem, is lactose intolerance, so I can’t use any of the dairy listed in your ingredients. Are there perhaps any vegan options/substitutes? Did you mix the strawberry and raspberry jello together, or separately so you have different colored cubes?